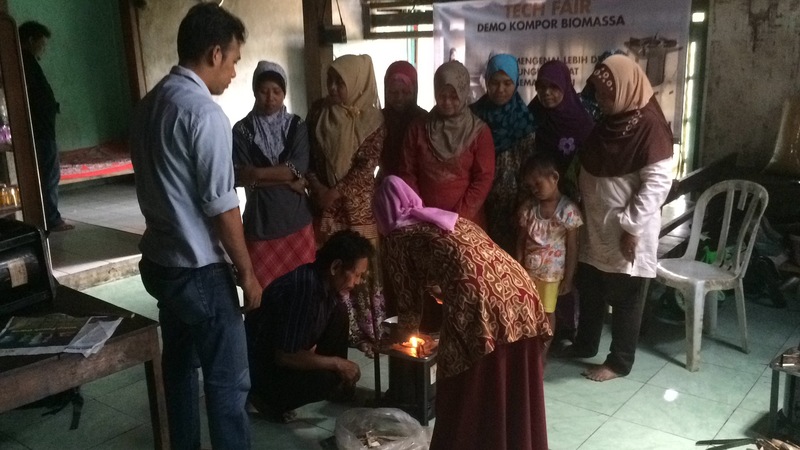 As part of Indonesia’s Ministry of Energy and Mineral Resources and World Bank Clean Stove Initiative (CSI), Tulodo is partnering with Kopernik to market cleaner cookstoves to poor households in Central Java. Tulodo’s role on the Fire Up Central Java Cleaner Cookstove project is to design and manage the marketing and community mobilisation activities, include formative research, marketing strategy, stakeholder engagement, capacity building for local partners and promotional activities. According to StovePlus, Indonesia has a wide range of fuel and energy choices from traditional biomass and kerosene to electricity and liquefied petroleum gas (LPG). An estimated 40% of Indonesian households (24.5 million households) rely on traditional biomass for cooking. Half of these households depend on firewood as their main cooking fuel. Traditional cookstoves (3 stone fires or cement wares) are characterized by low energy efficiency, high particulate matter (PM) emissions and low durability. Each year about 165,000 premature deaths in Indonesia are attributed to household air pollution (HAP) linked to traditional biomass cooking. The Indonesian Stove Alliance (ATI) envisions that by 2030 all households in Indonesia will use clean cooking stoves, and that Indonesia will be free from Indoor air pollution caused by traditional biomass cooking technologies. ATI is working in close partnership with the Bio-energy Department of the Ministry of Energy, is supported by the World Bank Clean Stove Initiative Team, and is funded by the Australian Aid.